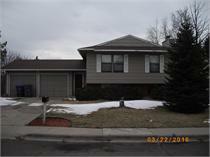 Nice 4 bedroom, 2 Bath Home w/2 car garage. New carpet, Freshly Painted. Fenced back yard. Located near Dildine Elementary. Pets are negotiable w/ $300 per Pet Deposit & approval from the owner. Tenant is responsible for Gas & Electric and Water, Sewer, Trash.